During my prayer walk this morning, I asked the Lord to help me communicate something important on my heart and mind. Prior to this post, I've tried a couple of times to write what follows, only to delete the posts during the writing process. Even coming up with a title for the article was difficult. As I prayed, the phrase that almost immediately came to mind, which I believe best communicates what I'm about to share, was "Preaching to the Fatherless." A couple weekends ago, my sister, Cheryl, and my brother-in-law, Ian, joined me at the Mission Hills FPAMG abortuary. My lil' sister is, second to Mahria, probably my closest confidant. She's also one of my toughest critics, but it's a "tough love." "Now who is there to harm you if you are zealous for what is good? But even if you should suffer for righteousness' sake, you will be blessed. Have no fear of them, nor be troubled, but in your hearts honor Christ the Lord as holy, always being prepared to make a defense to anyone who asks you for a reason for the hope that is in you; yet do it with gentleness and respect, having a good conscience, so that, when you are slandered, those who revile your good behavior in Christ may be put to shame. For it is better to suffer for doing good, if that should be God's will, than for doing evil (1 Peter 3:8-17). For 25 years, I have read the Bible. I have read the above passage in 1 Peter more times than I can remember. I have preached, taught, and referenced 1 Peter 3:15 countless times. Like many Christians, I often recite the verse without the first phrase--the most important phrase--"but in your hearts honor Christ the Lord as holy." Most Bible commentators agree that Peter has in mind with this phrase Isaiah 8:13. "But the Lord of hosts, him you shall honor as holy. Let him be your fear, and let him be your dread." "We sanctify God before others, when our conduct invites and encourages them to glorify and honour him." In order to honor Jesus Christ as holy in my heart, my heart must first be right with him. After all, Jesus said, "You brood of vipers! How can you speak good, when you are evil? For out of the abundance of the heart the mouth speaks" (Matthew 12:34). Jesus also made it clear that what comes out of my mouth reveals the true condition of my heart, at any given moment. "Do you not see that whatever goes into the mouth passes into the stomach and is expelled? But what comes out of the mouth proceeds from the heart, and this defiles a person. For out of the heart come evil thoughts, murder, adultery, sexual immorality, theft, false witness, slander" (Matthew 15:17-19). I read 1 Peter 3:8-17 as I stood alone, last Tuesday morning, outside the Mission Hills FPAMG abortuary, waiting or my friend, Don, to arrive. Even though I had read the passage many times, I was seeing it anew. Maybe a better way to put it is that I was seeing it honestly, as it applied to me and my preaching. I had to ask myself and the Lord, although I was painfully confident about the answer, "When I preach, do I always truly honor Christ the Lord as holy?" In other words, when I preach, do I conduct myself in such a way as to invite and encourage others to glorify and honor Jesus Christ? My sister has cautioned me for quite some time about sounding and looking angry when I preach. At times, I've simply blown her off. Other times, I simply could not ignore what the videos or audios revealed and I had to admit the wrong. Yet other times, too many times, I've led myself to believe that I've successfully curbed my anger, without changing my preaching. I've convinced myself that I've turned the corner, without ever really turning from the sin. In 2006, when I began serving as a "street fisherman" on The Way of the Master Radio, Todd Friel gave me the nickname "The Lawman." None of this is his fault, by the way. 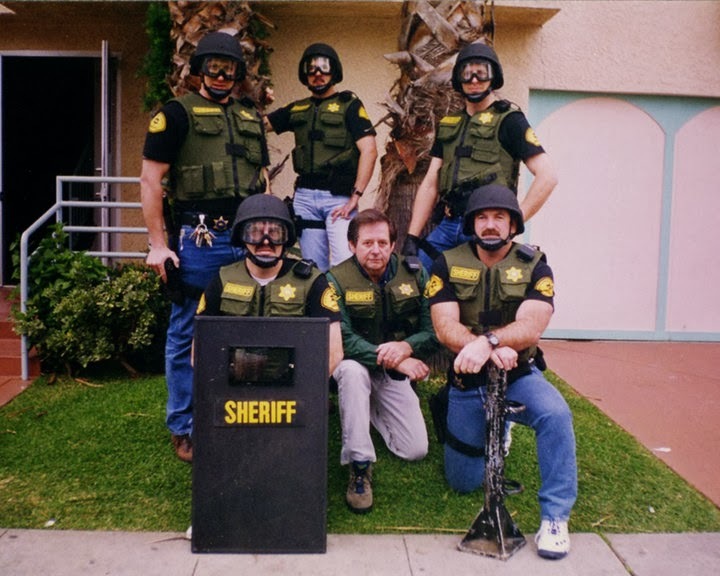 Having spent 20 years as a "lawman" (pictured left, holding the ballistic shield) the open-air preaching persona of a "lawman" came naturally. 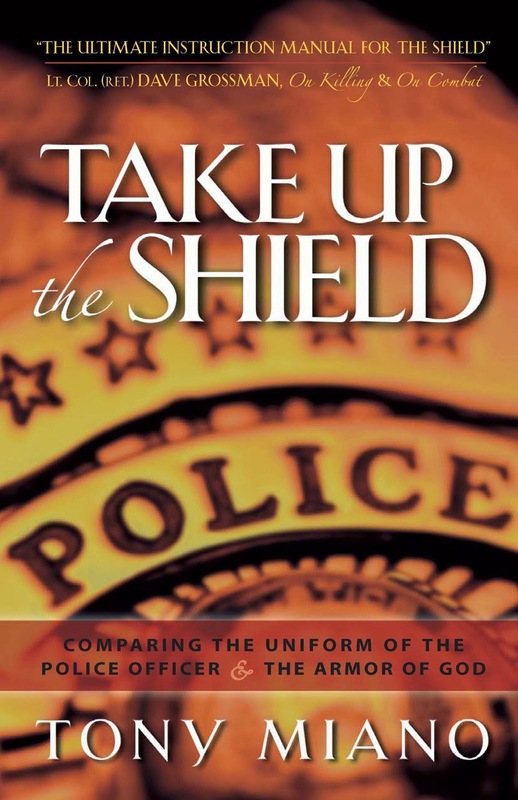 I still believe the Lord uses my law enforcement experience in my preaching. Command presence, reading a crowd, directing a crowd (often times without them realizing it), interpersonal communications, threat assessment--these and other law enforcement-related skills have served me well during the last eight years of ministry. But experience in one aspect of life is not always a benefit in another. Allow me to give you an example. While, as a deputy, I talked my way out of far more fights than the number of fights in which I was actually engaged, no one ever won an argument with me on the streets. Never. Street debates were not tolerated. I was right until a court of law determined otherwise. Such command and control of situations and people was necessary not only for the proper handling of calls for service, but also for the preservation of life--the lives of citizens, my partners, as well as my own life. Yet in an open-air setting, applying the same skill set can sometimes make my bark as painful as an actual bite. I never set out to sound like a deputy sheriff when I preach, but there's no denying this is how I sound at times. 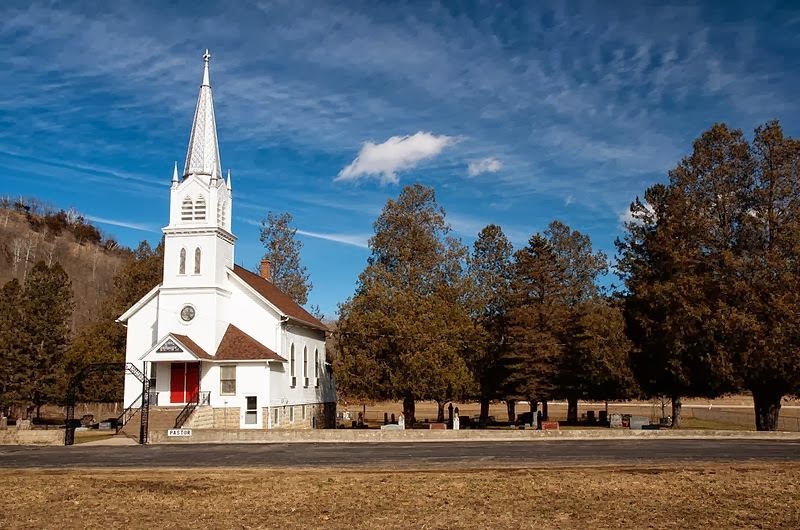 In the end, how I intend to sound while preaching in the open-air is not as important as how I might actually sound to my listeners--whether outside an abortion clinic, on a college campus, or on a street corner in a major city. Do I conduct myself in such a way as to invite and encourage others to glorify and honor Jesus Christ? The time has come for me to stop leaning on my law enforcement persona and catchy, typecast nickname. It's time I stop using it as an excuse for unbiblical behavior, too. I can already hear some of my brothers in the open-air preaching subculture. "We're not man-pleasers. It doesn't matter how we sound to them. The gospel offends!" The gospel offends. For far too long, open-air preachers like me have been using that precious, biblical truth--"the gospel offends" (1 Corinthians 1:18)--as a scapegoat, as a cover for what we know is sinful behavior. Well, if no one else will admit to it, I will. I must. It's time. It's long overdue. If my tone of voice and/or my rhetoric is not seasoned with salt (Colossians 4:6), if sympathy, love, tenderness, and humility (1 Peter 3:8) cannot be heard in my voice, then I am the offense. Oh, the gospel I preach is offensive right along with my behavior--side-by-side. But the offense the gospel brings is a convicting offense, not a justifying offense. When a lost person is offended by the gospel, he knows full well why he is offended. The truth of the gospel interferes with his natural desire to suppress the truth (Romans 1:18). It adds a bitter, unpleasant taste to the iniquity, injustice, and sin he wants to drink like a cool glass of water (Job 15:16). It is a stumbling block on his preferred, destructive path of life (Matthew 7:13). It undermines his false perception of his own goodness (Ecclesiastes 7:20), while remaining defiant to the life of goodness God requires of every man (Micah 6:8). On the other hand, when my sinful behavior is seen and heard over and above the offense of the gospel, I, in effect, give the unbeliever an opportunity for self-applied, impotent, ineffectual justification of his unbelief. I cannot push anyone away from Jesus (John 6:37; John 6:44; Romans 9:14-18), no matter how sinful my behavior. The unbeliever, by his very nature, wantonly runs toward hell (Proverbs 21:10; Matthew 7:13; John 8:44; Romans 1:32) and has no desire for God (Romans 3:10-18). But that does not give me license to take the sovereignty of God for granted like an unsaved hyper-Calvinist. From my heart, to my mouth, to the words I speak, I must honor Christ Jesus the Lord as holy. In my one-to-one conversations, in my open-air preaching, in my pulpit sermons, in my blog articles, in my communications with Mahria and my girls, I must honor Christ Jesus the Lord as holy. In the end, if I am to be reviled, let it be for my good behavior (1 Peter 3:16), not for my self-justified bad behavior (1 Peter 4:15). Those who know me know I love being a dad. I love being an uncle. I long to be a grandfather. Pray for my three adult daughters. The fact that my biological grandfather clock is ticking makes this season of life a challenge for them. I also love being a spiritual grandfather, father, and uncle to those who are not biologically a part of my family, but are, like me, adopted into the family of God, through faith in Jesus Christ. I have several spiritual sons and daughters around the world. Yes, I'm boasting a little. I'm a proud papa. 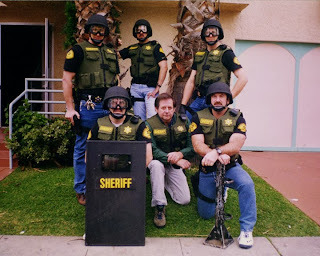 When I served as a gang and juvenile crime investigator for the sheriff's department, there were times when parents at the end of their ropes would bring their wayward teenager into the station for some counseling. Sometimes these heart-to-heart talks were prearranged. Every once in a while (well, rarely), the "scared straight" approach worked with a kid. More often than not, however, parents would come into the station with their teen and say, "Fix him!" I would have to gently but firmly explain to the parents that I could not fix in one conversation what it took them 17 years to break. Sadly, more often than not, the troubled youths with whom I dealt were the products of broken families. And more often than not, it was the fathers who were not in the picture. While the lack of a father in a young person's life is never an excuse for anti-social or criminal behavior (each person is accountable for his or her own sin), it is no doubt a contributing factor. It's important, here, to note that a father can be absent while still being present in the home. Workaholics, dads who would rather be their kids' friend than their kids' father, or Neanderthals who may never come to understand that it takes more than procreation to be a dad--these kinds of dysfunctional, sinful men and others live at home with their families. Yet leave their children fatherless. And I meet the byproducts, the tragic collateral damage of men like these on the streets, at abortion clinics, and on university campuses all the time. The children of fatherless homes: they are in their teens, their twenties, and older. This is the generation to which I am preaching the gospel, today. Whether it's in Southern California, somewhere else in the United States, or Canada, England, Norway, and beyond; I am preaching to a fatherless generation, a lost and fatherless world. So, what does this have to do with honoring Christ Jesus as holy in my heart when I'm open-air preaching? Everything. I can present four expert eyewitnesses who can truthfully testify that I am an imperfect father: Mahria, Michelle, Marissa, and Amanda. However, for the purposes of this article, you will just have to trust me when I say they will each nod their heads in agreement as I make the following assertions. I have never successfully disciplined my children while angry. I have never successfully discipled my children while angry. I have never successfully led my children while angry. I have never successfully comforted my children while angry. I have never truly helped my children navigate the stormy seas of life while angry. As a matter of fact, I've never done anything right by, to, or for my children while angry. In such times, I only taught them to be...well...angry. Now, considering how unsuccessful I have been as a father in those times when I have been angry, and considering how many unsaved people in the world today have grown up with either angry or absent fathers, is there any real chance of me biblically communicating the gospel and in my heart honoring Jesus Christ as holy, if I'm angry while I'm preaching? That was a long rhetorical question. So let me give you the short and obvious answer: no. Add to the above description of a flawed man the persona and skill set of a law enforcement professional and, to the unsaved eyes and ears standing in front of me as I stand atop a two-step ladder, I might, at times, look and sound something.....like this. If you've made it this far in the article, I hope you can see that I've given these things much thought. I don't believe I am over-thinking these issues. I don't believe I've wandered down the road of pragmatism. Nor do I think I'm being melodramatic or hyperbolic when I say it's time for the "lawman" to retire. It's time to allow the persona that has served me well for many years and has likely saved my life more than once to quietly drift from the foreground to the background of my preaching. Of course, there's a need for balance in my decision, just as there is a need for balance in all areas of my Christian life. The "lawman" in me will never completely go away. It is part of my personality. It is part of who I am. The Lord allowed me to experience 20 years as a law enforcement professional for reasons that He has made known to me, through new experiences, during the last eight years of street ministry. When my heart has been such that I have honored Christ as holy in my heart (ultimately, only the Lord knows when those times have occurred), my law enforcement skill set has been a positive and useful tool in my evangelism war bag. I'm still going to be me, but I must endeavor to be me in such a way and to such an extent that I am living in conformity to the image of Christ while honoring Him as holy in my heart. And in order to do that "the lawman" in me must decrease, so that the father/grandfather in me can increase. 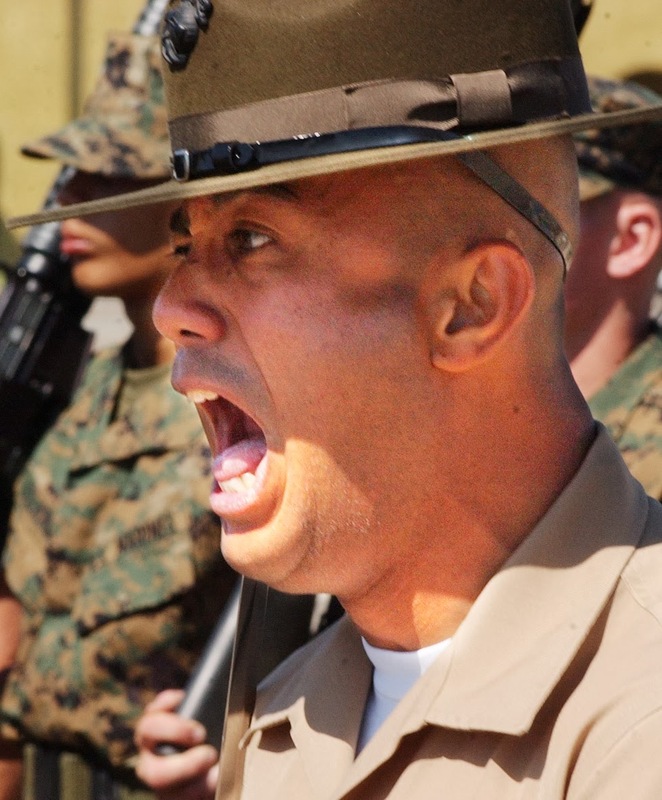 It's time for the "lawman" in me to stand down so that the father and grandfather in me can stand up. It's time for me (and I'm only talking about me) to be seen as more of a father figure than a law enforcement figure when I preach. It's time to replace the "cop eyes" with eyes of fatherly love and compassion. It's time to replace the voice of thunder that rages in the midst of the storm with the voice of a father who cries out to his children loud enough so they can hear him over the storm to take shelter in the house. It's not time for me to become more pragmatic. It's time for me to become more biblical. It's time for me to truly honor the Lord Jesus Christ as holy in my heart and in my preaching. No more was this truth solidified in my heart and mind than when I saw Telda's tears. From time to time, for more than a year now, I have been joined at the North Hollywood Metro Station by Richard and Telda Peskett. Richard and Telda are from England. They are here in Southern California while Richard attends The Master's Seminary. The Pesketts love to engage people in gospel conversations, and Richard is a fine open-air preacher. They are two of the nicest, gentlest, and most gracious people I know. They are my friends. Prior to this last Saturday, it had been a few months since I last preached at the North Hollywood Metro Station. I was blessed to be met there by Richard and Telda, on my first Saturday morning back. It was a relatively quiet day at the Metro Station. A steady flow of people, in groups as large as 100, made their way back and forth between the Orange Line bus station across the street and the Red Line subway station. A few sat under the limited shade of few skinny palm trees in concrete planters, waiting for buses for other transit lines to arrive. Others waited for friends or family members to pick them up to take them to their next destination. I was the first to preach. The crowd was small to non-existent. Although I was using a new amplification system, one that is rated for 2,000 yards, the only person I knew for sure was listening was Telda. I did have one "drive-by heckler" mock and blaspheme God as he rode past me on his bicycle. But other than that, it was a rather uneventful open-air. There was nothing extraordinary about my sermon. The biblical text from which I preached and its law-gospel application were not particularly incendiary. 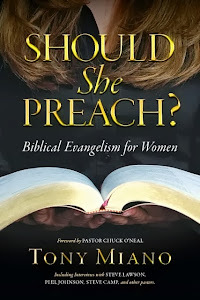 Yet when I finished preaching and stepped down from my stepladder something very special happened--something that, to a large extent and in addition to what I've already written, would lead me down the road to come to some important conclusions and to writing this article. As I stepped down, I noticed Telda walking toward me. The closer she got the clearer view I had of her face. She was crying. Oh how I wish I could remember Telda's exact words. I fear I will not do them justice in a paraphrase. Telda told me that she could hear such love for the people in my voice. She told me that she had been praying to hear that kind of love in my preaching. Telda was very quick to affirm my preaching as a whole. It was as if she worried her encouraging, loving, and gentle words might be taken the wrong way--might be heard as criticism. I did not take her words as a criticism. How could I? Seeing the tears run down her cheeks and hearing the quiver in her voice, how could I take her words as anything but what they truly were? They were an expression of love from a sister to a brother. They were an expression of the joy of prayers answered. Sadly, I'm sure there was a time, maybe a time not very long ago, when I would have heard only criticism. But, by God's grace and mercy, he had prepared and led me to this moment. He had prepared my heart and mind to hear and receive Telda's words as not only how they were intended by her, but also as a clear and eye-widening indication that people who truly care about me and my preaching--people like my sisters, Cheryl and Telda--have had real concerns to the point of heartache about the tone and rhetoric of my preaching. It was as if, at that moment, it finally clicked in my head. "Wow, Lord. I really haven't been honoring you in my heart and in my preaching the way I should!" For the last five days I have pondered and prayed, reflected and prayed, questioned and prayed, repented and prayed. And then I sat down to write this article. This has been quite a journey (much longer than the last five days)--one filled with denial and discovery, self-righteousness and soul searching, remonstrating and repenting. I'm not going to bother asking God why it's taken so long--years, really. The answer to that question might be too painful to receive. I will simply continue to thank Him for getting me here, for bringing me to this point in my life and ministry. I will continue to thank Him for helping me to finally see that it's time for "the lawman" to retire. It's time for me to settle (with contentment and a rejuvenated, better placed zeal) into the role of father and grandfather in my open-air preaching. It's time for "the lawman" to turn in his gun and badge and turn to imitating the meekness of the Lamb of God. Let me be clear. I do not see this as a weakening of my mettle. Rather, I see it as a maturing of my mettle. There will be no compromise in my messages. There will be, however, to the extent the Holy Spirit enables and helps me, more compassion and love in my proclamations of the gospel. God does not need my help. His gospel does not need my assistance in any way, shape, or form. A change in my behavior will not sweeten the aroma of "death to death" the preaching will leave in the nostrils of some--most (2 Corinthians 2:15-17). The word of the cross will remain foolishness to those who are perishing. And a failure on my part to change will not result in a single person missing heaven. God is sovereign and salvation is of the Lord! But if the people revile (and they most certainly will continue to revile), let them revile to their own shame, knowing that what they are reviling is the truth of the gospel and not the sinful behavior of the one communicating it to them. Oh Lord, please help me to honor You as holy, in my heart and in my preaching, forevermore.